2020 Attitude 27SA Toy hauler by Eclipse RV with Generator! *Dual electric high clearance queen bunks, with 70 inches below the rear bunk in the up position OR 84 inches with *the dinette folded in the downward position! 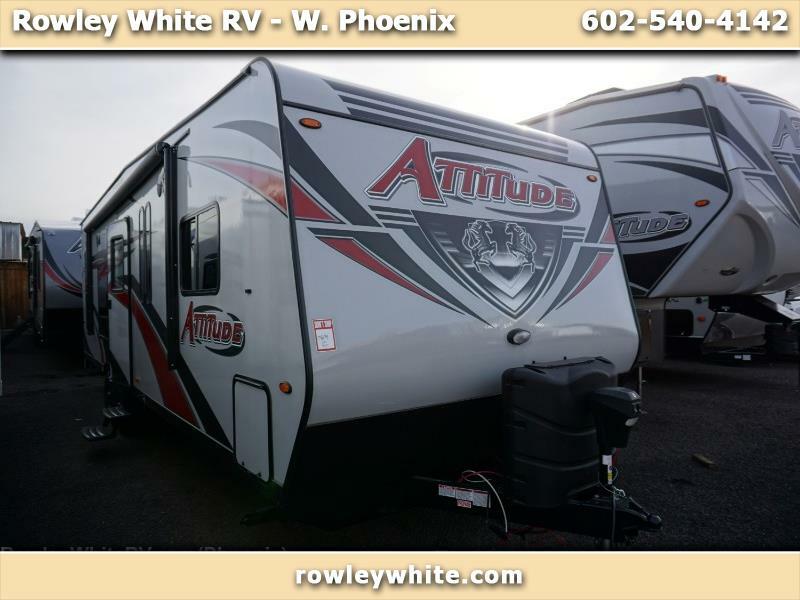 Rowley White RV carries several different brands of travel trailers and toyhaulers giving you more to choose from, including this Eclipse RV Attitude. This trailer has everything for the weekend adventure. Message: Thought you might be interested in this 2020 Eclipse RV Attitude.